Home » Ask The Experts » Is a Home Equity Line of Credit Good or Bad? Is a Home Equity Line of Credit Good or Bad? It Depends on Your Financial Situation. Here’s what Consolidated Credit’s Financial Education Director April Lewis-Parks has to say about using HELOCs. What do you need the home equity line of credit for? What is your interest rate going to be? Is that so much better than what you would get on a personal loan? And, what if something happens with the economy or your personal financial situation? What you really need to think about is will you be able to afford the payments down the line? Is something happens, are you going to put your house at risk because you can’t afford the payments? So, before you explore this option, just be smart about it. Check the rates and the fees, and most importantly your own personal financial situation. This is what happened to Carol. She worked as a waitress and then when the Great Recession hit her income dropped significantly. She took out a home equity loan and ended up in a worse situation than when she started. 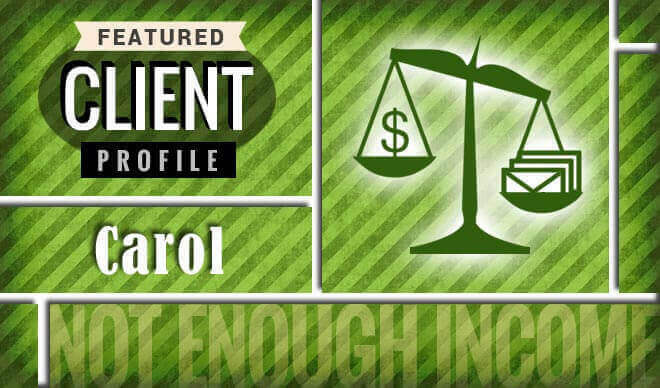 Even working 70 hours a week, Carol couldn’t pay her bills because customers simply weren’t tipping enough. See how she took control with credit counseling. So, in this case, an unsecured personal loan would be the better option. You need a fixed amount of cash to pay off your credit cards. This type of loan wouldn’t increase your foreclosure risk. If you can’t qualify for an unsecured loan, then you’d probably be better off using a different solution. Call a credit counselor first to review your options. If you have credit card debt to pay off, we can help. Talk to a certified credit counselor to discuss your best options for relief.